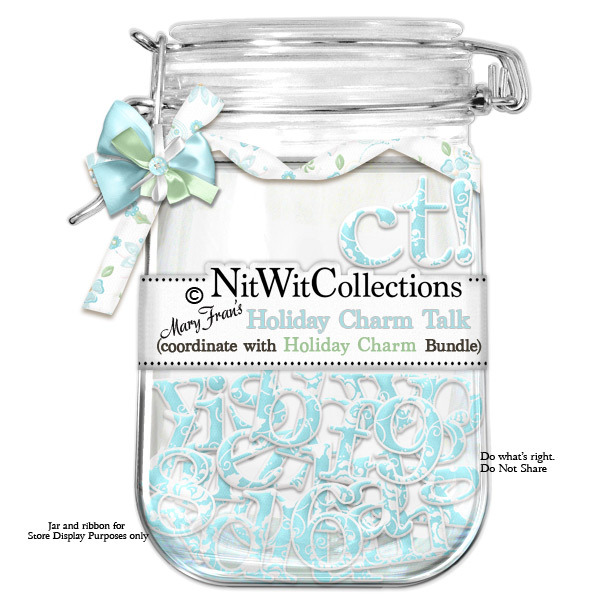 "Holiday Charm Talk" has a pretty blue and white pattern to the letters to give these letters a warm feel. No one wants to be cold! See what you can say with this co-ordinating alpha in your scrapbooking layouts and cards.